We authors love it when we get a fantastic five star review and hate it when we get a bad one. That’s only natural, isn’t it? Everyone enjoys praise and nobody wants months of hard sweat to be dismissed in a few damning words. These days, reader reviews are more important than ever. With the dominance of Amazon, star ratings are crucial to sales and readers often seem more interested in what other readers have to say than the retail blurb put out by the publisher. Authors can refuse to read reviews but they can’t pretend they don’t matter, because they do. There was a time – long, long ago – when the only reviews a writer ever received were from professional journalists and they only appeared in print. I remember coming back on the coach from Wales, after the premiere of my play ‘A Solitary Confinement’ at the Taliesin Theatre, a huge bouquet of flowers stuffed awkwardly between my thighs, stopping at a service station on the M4 and nervously buying The Guardian. To be honest, it wasn’t a brilliant review and the joy I’d been feeling up to that point wilted more quickly than the flowers. In contrast, the local Swansea paper had praised the production to the skies and the audience had responded really positively. Maybe The Guardian knew best, but it didn’t seem fair that one person’s opinion should hold such sway. Then the era of people-power dawned. I discovered that readers were taking time out of their busy lives not only to read my books, but to comment on them. Because they wanted to connect with me and other readers, not because it was their job. I was amazed and rather touched. I was also taken aback at how spiteful a very small number of people could be, but that’s life… We authors have to be careful. Get too hung up on the bad reviews, or too high on the effusive ones and we’re in trouble. 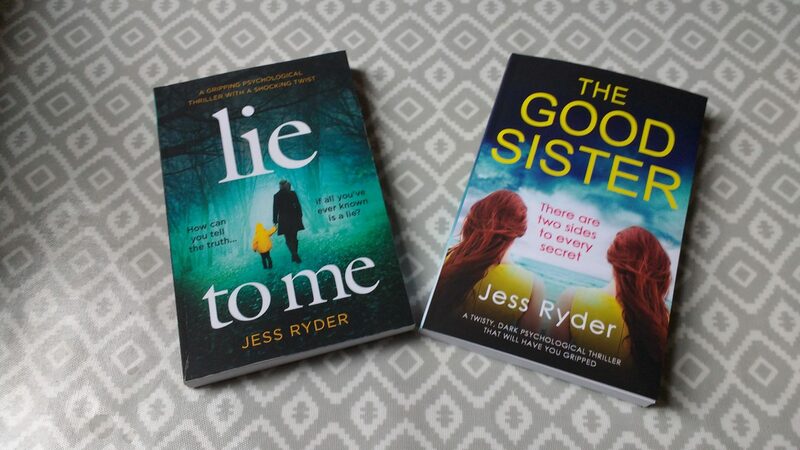 This year, Bookouture published my first two psychological thrillers – LIE TO ME and THE GOOD SISTER. I screwed my courage to the sticking place and read many of the reviews, especially from the bloggers. There are some incredibly dedicated people around, so generous with their time, so perceptive and intelligent. I’m building up a sense of what really pulls a reader in, how they want to relate to the characters, how they love twists and satisfying endings. It’s all very helpful stuff for future books. Common themes turn up in the reviews – for example, with THE GOOD SISTER, many readers enjoyed the tricks I played with changing perspectives. That was a risk on my part and I’m thrilled to know it paid off. Now, rather than feeling vulnerable to criticism, I actually feel supported. Thanks to everyone who has taken the time to review my novels this year. It’s much appreciated. GETTING IN A TWIST ABOUT…. WELL, TWISTS. 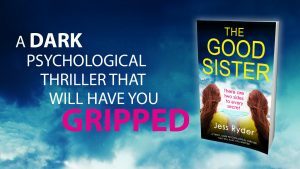 Book blogger Nigel Adams generously described my new psychological thriller, ‘The Good Sister’ as having “more twists and turns than a Himalayan mountain track”. I was dead chuffed to read this, because I’d worked hard to put lots of twists into this second book, feeling that although my first thriller, ‘Lie to Me’ contained a few shocks, it wasn’t quite twisty enough. These days, nearly every psychological thriller is marketed as having a ‘shocking’, ‘killer’ or ‘breathtaking’ twist. This raises the expectations of the readers, queuing up for their next roller-coaster ride. Meanwhile, the writer is wracking their brains for how they can turn their perfectly good plot on its head and still make it believable. I think this current craze may have started with the mega-bestseller, ‘Gone Girl’ by Gillian Flynn. I’ve recently been brilliantly fooled by K.L. Slater’s ‘Blink’ and Clare Mackintosh’s ‘I Let you Go’. Years ago, I was so shocked by the twist in Sarah Water’s ‘Fingersmith’ I forgot to pick my son up from his guitar lesson. So what exactly is a twist? In the world of psychological thrillers, I think it’s more than just a surprising change of direction in the plot. I’d describe it as the deliberate misleading of the reader, encouraging them to make false assumptions and draw wrong conclusions about the narrator/s, the plot, the identity of the characters, their motivations and ambition, or how they are connected to each other. As the book progresses, the reader creates a fictional world in their own imagination and then, at a time of their choosing, the writer brings it crashing down. Twisting is a game between reader and writer, but if the reader wins easily, it spoils the fun. The writer must play fairly. If she keeps all the information to herself and then reveals it in a big lump at the end, that’s not a twist and not very satisfying for the reader. The best twists are created when the writer has been telling the reader the truth all along, but hiding it in sneaky places. Crucial information is drip-fed, buried in a passage of description or a throwaway piece of dialogue or a fast-paced action sequence. Sometimes the truth is hiding in plain sight. Writers use sleight of hand and distraction techniques, like a close-quarters magician. ‘If only I’d paid more attention,’ cries the reader. I could explain exactly how I engineer the twists in ‘The Good Sister’ but that would be a massive spoiler and a bit stupid on my part! The demand for twisty thrillers shows no sign of abating, but spare a thought for the writer whose novel is well-plotted with fascinating characters and a cracking ending, but doesn’t mess with your head. The roller-coaster is always exciting but there are lots of other great rides in the amusement park. ‘Lie to Me’ and ‘The Good Sister’ are published by Bookouture and available on Amazon. WHY ARE WE SO GRIPPED BY SISTER STORIES? 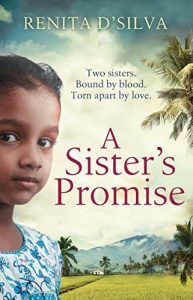 When Bookouture asked me for some more novel ideas, a story about a pair of half-sisters popped into my head. I have no idea why – I don’t have a sister and have no experience of how that relationship works. 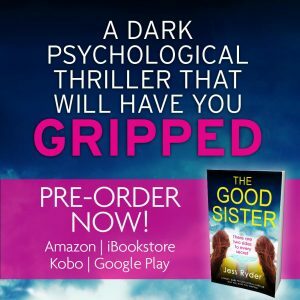 Apart from Louise Jensen’s enthralling The Sister, which I’d already devoured, I decided not to read any other sister books until I’d finished mine – The Good Sister (out August 16). Since then, I’ve read several and have been fascinated by the variety of approaches taken by their authors. It started me thinking, what is it about the sister relationship that is so interesting to writers and readers? Clearly, sister books are ‘on trend’. As book blogger @tk2everywhere noted in a recent review of The Good Sister: “Good sisters, bad sisters, little sisters, big sisters, there are sisters all over the place; it’s clearly a subject which strikes a chord with people.” Sister, Sister (Sue Fortin), My Sister and Other Liars (Ruth Dugdall), Two Sisters (Kerry Wilkinson) and The Roanoke Girls (Amy Engel) are among the books I’ve recently read. In The Good Sister, I explore the theme of ‘nature versus nurture’, taking two half-sisters who have grown up believing they were the only child of their beloved father, now dead. At first, their shared parentage unites them, but jealousies and rivalries soon bubble to the surface with disastrous consequences. In the crime genre, the sister relationship offers endless opportunities to present strong, active female characters fighting on an even battlefield. Perhaps this sits more easily with writers who, like me, are uncomfortable with stories in which men are almost always the villains and women the helpless victims. Last year’s ‘Killer Women’ festival debated the issue of whether crime literature is misogynistic and I wonder if perhaps the new wave of ‘sister crime’ is a subtle response to this. In other words, sisters automatically give the writer everything needed to create the conflict, drama and emotional intensity that is at the heart of every great story. Of course, this is not a new discovery. Louisa May Alcott’s Little Women being probably the best example of a wonderful book about sisterhood. Then there’s the nation’s favourite novel – Pride and Prejudice, which follows Elizabeth Bennet and her four sisters, all with very different personalities, who are searching to find their place in the world. Even the fairy tale classic Cinderella explores a difficult relationship between step-sisters. So, while the sister publishing trend may soon be replaced with another, this sibling relationship will no doubt continue to intrigue us for centuries to come. 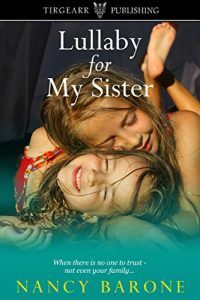 Do you have any favourite books about sisters? If so, please share them below, via Twitter – @jessryderauthor or my Facebook Page – JessRyderAuthor. 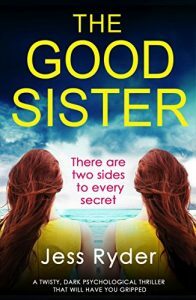 If you would like to read The Good Sister it’s available for pre-order now, publication date 16 August 2017. Using a screenwriting structure to write a novel sounds like jumping the gun – imagining the movie deal before the book’s even found a publisher. But dreaming aside, I’ve found it a very useful tool when plotting a thriller. Many writers will insist that following rules, structures, formulae, templates (call them what you will) is death to creativity. Stephen King says in his book ‘On Writing’ – ‘I believe plotting and the spontaneity of real creation aren’t compatible’. Maybe he’s right. I don’t suppose many good books have been written on an Excel document. Some geniuses structure their stories by instinct, but most of us need a bit of help. 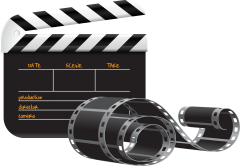 If I’m writing a television script – even if it’s only ten minutes long – I’m expected to produce a detailed scene-by-scene breakdown, which has to be approved in advance. Writing the dialogue and action comes last – that’s the fun part. But in my experience, it’s only fun if I know exactly where I’m going. I tend to take the same approach with my novels, although when it comes to the actual writing, I admit that the story sometimes veers off in a new direction and the characters misbehave. Certainly, free-styling can produce something exciting and unexpected, but it can also lead me down a blind alley, forcing me to do a twenty-point turn to get back on the right track. When I sense that my story isn’t working but I can’t work out why, I use a simple three-act movie structure as a kind of fault checklist. It’s a bit like when my car goes in for its MOT test. The garage gives me a list of things that have to be done in order for the car to pass, and another list of things that aren’t essential, but if I don’t attend to them now they will probably cause problems in the future. Realising that act one is too long or that nothing is happening at the midpoint, for example, can shine a light in the darkness. Once I’ve identified the possible problems, I can choose to ignore them or try to fix them. If the changes involve ‘killing my darlings’ I might try to ignore them, but if I do, they are likely to bite me in the bum further down the line. Of course, writing a novel isn’t like fixing a car – if only it were that simple – but taking a more mechanical approach during the self-editing process can actually be a very creative experience. If you’re interested in exploring screenwriting structures, start by checking out the following ‘gurus’: Robert McKee, Syd Field , Linda Seger, John Truby and Blake Snyder. These writing teachers promote their own distinct system, which they explain in their many books, blogs and live lecture tours. You can choose from three acts to five acts, from fifteen points to twenty-two steps. There are many other screenwriting tutors out there with alternative approaches and lots of useful stuff on the internet – eg The Script Lab. Take your pick and see if any of them work for you. And allowing ourselves to dream again, when your thriller is a huge publishing success, it will easily adapt as a movie! My first psychological thriller ‘Lie to Me’ , published by Bookouture, is available for pre-order on Amazon. I have also published novels for teenagers and Young Adults under the name, Jan Page, including ‘Selina Penaluna’. Last week was a bit mad. The most important and exciting thing that happened was that our daughter safely gave birth to her first child and our second grandson (welcome to the world, Saul!). The second most important and exciting thing was the announcement and cover reveal for my new psychological thriller, ‘Lie to Me’ published by Bookouture. I have been writing professionally for many years, but ‘Lie to Me’ is my first thriller. It was conceived nearly three years ago and the gestation period was longer than any mammal’s on earth. Looking at the fabulous book cover and reading the listing on Amazon now, it’s easy to forget all the pain and effort I went through to reach this happy moment – a bit like childbirth! So I want to take a moment to reflect on the ups and downs of the ‘pregnancy’. And maybe it will encourage any writers out there feeling stuck, not to give up. Writing’s a funny old business. When the words are flowing, when the characters feel like they’re in the room with you and you’re in ‘the zone’, it’s a joyous experience. Re-reading the chapters a week later however, can be rather sobering. As ‘Lie to Me’ developed and the word count grew, I confess that sometimes I thought what I was writing was brilliant and at other times totally crap. Objectivity is impossible, but I was so close to the text that I couldn’t make any kind of useful judgement. Friends and family read the first draft and made helpful comments, which I tried to address. But their default position was supportive and I needed an outside eye. When I completed the first draft (or rather a draft I was happy with) in late 2015, I went looking for a literary agent. Although I’m represented by a media agent for film and TV the agency doesn’t represent authors. Feeling optimistic, I sent the first three chapters to a small number of agents and received several requests to read the whole thing. A few agents were tempted but felt the book need more work. Rowan Lawton of Furniss Lawton – was particularly enthusiastic about the novel’s potential, but also felt it needed an overhaul. Close but no cigar. I began 2016 feeling encouraged by Rowan, but also wondering how the hell I was going to fix the problems in the novel. To begin with, I wasn’t even sure what the problems were. I’d had a few months away from the text, during which I took up mosaics. I sat on the sofa smashing up crockery, which was a health hazard for the rest of the family who could no longer walk around the flat in bare feet, but it did me a world of good. By the time I returned to the book, I felt less attached and more self-critical. I’ve done a fair amount of script editing in the past, and tried to apply my editorial skills, pretending that I wasn’t the author. Not easy, and quite scary. I ended up cutting an entire narrative voice, transforming the way I was telling the past story, adding a new narrative strand and simplifying the rather complex plot. I dumped fifty thousand words – that’s more than half the novel – and started again. The rewrite took me about three months – I sent the revised draft to Rowan and luckily, she loved it and took me on straightaway. Of course, that wasn’t the end of it, editorially. Rowan and her colleagues at Furniss Lawton gave me some excellent notes and I did some rewrites. When Bookouture made their offer (hooray!) their editor Jessie Botterill gave me more insightful notes and the novel changed again. Then there was the copy-editing and proofreading stages to go through. More notes. More rewrites. I have to say everyone’s input improved the book and I’m incredibly grateful to Rowan and the Bookouture editorial team. Now my baby is about to be born – on April 19th to be precise – and I’m very excited to see how she gets on in the world. Knowing when to persevere and when to give up, is very hard. Like most writers, I have a couple of horses that I flogged to death lying in my filing cabinet. So it might be helpful to think about this in a different way. Some years ago, I accidentally attended a motivational talk for business people, in which the speaker taught us this mantra – ‘Do what you always do and you’ll get what you always get.’ I’ve tried to apply this to my writing: if it’s not working, do something different and maybe you’ll get a different result. I know for certain that without that major rewrite last year, ‘Lie to Me’ would never have found an agent or a publisher, so it really can be worth making that final, huge, painful push. PS – I’d love to hear your thoughts on the subject of How Not To Give Up – please leave a comment. Today’s the big day. After months of writing and rewriting, editing, copy-editing and proof-reading, the publication of my novel, ‘Lie To Me’ has been announced by Bookouture and the cover revealed. The novel is available on Amazon for Kindle pre-orders and will also be available as a physical book after the official publication date, 19 April 2017. I really love the cover and feel it sums up the central theme of the novel and its atmosphere perfectly. I hope it makes you want to step inside. ‘Lie to Me’ is my first thriller and I’m very excited about this new phase in my writing career. As an avid thriller reader myself, I was already a huge fan of Bookouture, so I couldn’t be more pleased to be joining their fantastic list of authors. I won’t lie to you (sorry, let’s get the puns over and done with at the start) but Jess Ryder is not my real name. The name I usually use for my work is Jan Page but all my previous books are written for young children and teenagers. Somehow it didn’t feel right to add dark, twisting psychological thrillers to the list of children’s books by Jan Page available on Amazon. How could the writer of ‘Dog on a Broomstick’ be the same person? Besides, this is a new departure for me and I’m rather enjoying having a new persona. 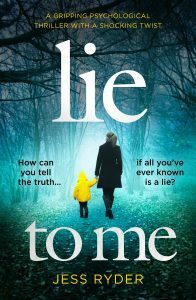 Over the next weeks and months I’m going to be blogging about ‘Lie to Me’ and thriller writing in general. I’ll also be blogging about thrillers I’ve read recently and why I love this genre. In between all that, I’m going to be working hard to finish my next thriller which is due to be published by Bookouture later this year. More about that later. I hope you’ll want to pre-order ‘Lie to Me’ and that when it pops onto your screen on April 19, you’ll find it a gripping read. I’m always very keen to hear from readers, so please let me know if you’ve enjoyed it. I’m always happy to answer questions so get in touch here or go to my Facebook page @JessRyderAuthor or follow me on Twitter @jessryderauthor. JCP on WHY ARE WE SO GRIPPED BY SISTER STORIES? Renita D'Silva on WHY ARE WE SO GRIPPED BY SISTER STORIES? Sara Sartagne on WHY ARE WE SO GRIPPED BY SISTER STORIES?